We’re all adults, and we can say it: not everyone thinks math is fun. Sure, there are a few mathletes out there, but equations aren’t most kids’ first choice for activities. Whether you’re a parent or a teacher, you know how much better kids learn when they’re interested and engaged. 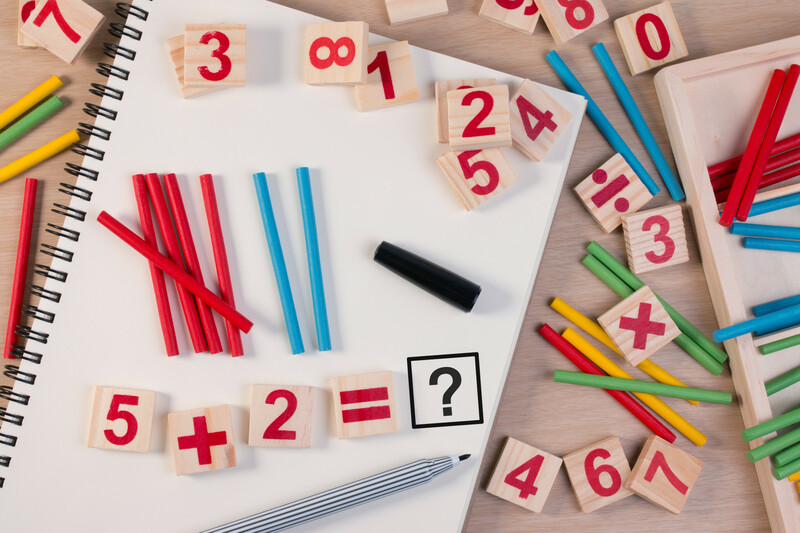 Make that happen in your math sessions with these cool, addicting math games for kids of all ages. From classtime to homework time, help kids work their math skills and beg for more with these math games. That’s right: it’s not just an intense TV show. 24 is also a game kids can enjoy at any age. In fact, some parents have mentioned in Mathnasium reviews that their kids love playing the game during their tutoring sessions. The game has a stack of cards and each card has four numbers on it. Each player takes a turn and needs to create an equation with those four numbers that has an answer of 24. For example, let’s say your numbers are 2, 2, 3, and 8. Your answer could be 3x2x(8÷2). This game is great for older kids, particularly those who have learned or are trying to learn the order of operations. Most of us have played the memory game a time or two. You have a grid of cards laying face-down. There are two of each card but they’re scattered throughout the grid. You can look at two cards at a time but you have to lay them back down and try to remember what they are. The goal is to remember the cards well enough to find all the matches. You can make this game into a math exercise with a simple change. Have a number on the face of each card. Instead of looking for matches, players have to look for pairs of cards that add up to ten. Math Bingo another fun math twist on an old favorite. Each player has a Bingo card like the traditional game. Instead of calling out numbers, though, the leader calls out math problems. Players must calculate the answers and mark off the answers if they’re on their card. The first player to correctly mark off enough numbers to create a line wins. One of the best advantages of this game is that can make the problems as easy or difficult as you want. Make sure your problems are easy enough for the least advanced player to handle. It’s also important that players don’t call out the answers to problems when they find them. It’s true that you need to work on a skill to improve it, but that work doesn’t have to feel like work. The cool, addicting math games above will help your kids or students improve their skills without complaining or losing focus. For more tips about either digital or screen-free games to play, check out our gaming blog.